Joe is responsible for managing the operations of our flagship event, the NAVC Conference, including our multiple venues, transportation, food & beverage, housing, audio/visual and customer service issues from the initial planning stages through execution. He works with numerous staff members, contractors, vendors and volunteers during the year to make sure the Conference experience is exceptional. Joe is an association executive with experience working with local, state, national and international groups. He has directed all aspects of non-profit management including marketing, event management, membership development, leadership development, conferences, quality analysis, publications, certification programs, and more. 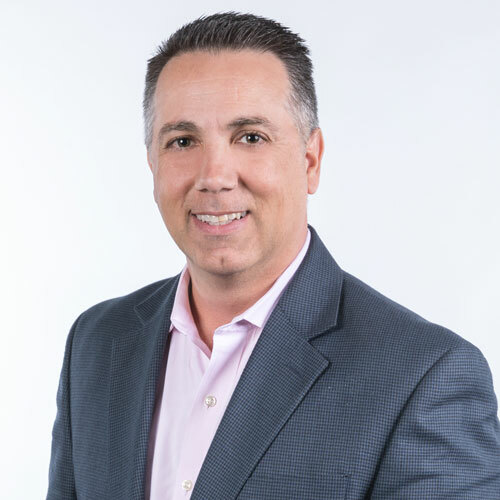 Joe formerly served as a senior manager at a full-service association, corporate event and conference management company based in Orlando overseeing events in the US, Canada, Asia and Europe. Prior to that, Joe led a diverse a team at The Institute of Internal Auditors. He was responsible for developing and executing a $2.5M budget that encompassed the publishing division, including the content development, sourcing and contract negotiations with authors and external publishing houses. He also oversaw the retail sales division, which included the selection and implementation of POS and eCommerce systems, as well as the development and analysis of customer data and sales metrics. Joe also has significant corporate experience, including work with Tommy Hilfiger Golf as a Southern District Relationship Manager, overseeing sales support for 75 outlets. Prior to that Joe was with Food Systems Unlimited as the Director of Operations Support and Quality Management for a 50+corporate and franchised owned food establishments. With an MBA from Rollins’ Crummer Graduate School of Business and a strong track record of delivering bottom-line results in customer service, sales, new business development, team leadership, and strategic planning, Joe is able to balance big-picture strategy with the detail and analytical skills needed to flawlessly evaluate and execute plans. Joe currently resides in Orlando, FL with his wife, Natalie, daughters, Ava and Abby, and Lucy, their white Havanese. Get your paws on the latest. Join our email list.You'll be the first to know about the latest NAVC news, upcoming event details and more! © 2019 North American Veterinary Community. Hi there!Do you have 2 minutes to share your feedback about our website?